Owning a property is a major investment. 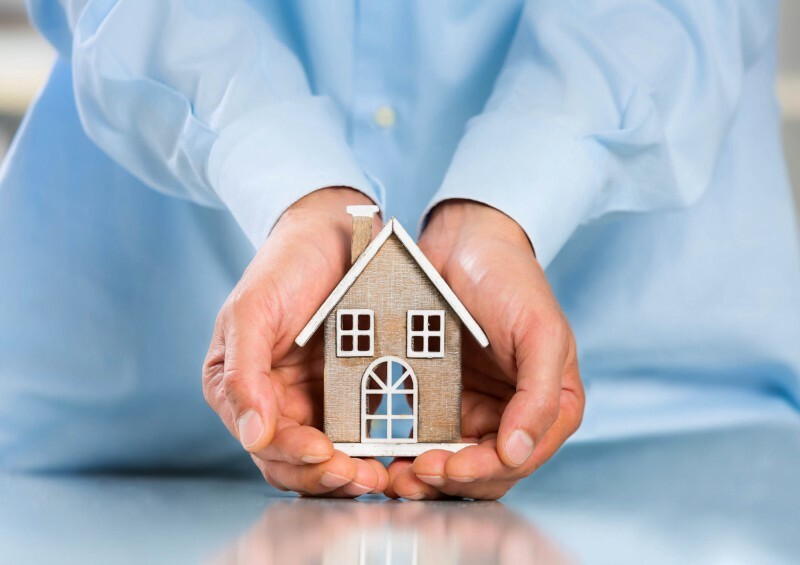 Whether you live in one you own, or you are letting it out to tenants, it is imperative that you have home buildings insurance. Where contents insurance might be seen as an ‘optional extra’ to give you some piece of mind regarding your possessions, buildings insurance is a more serious part of the home insurance package – protecting the very structure from damage which could cost hundreds of thousands, even millions of pounds to fix. No one wants to carry on paying a mortgage on a property that has burned to the ground without any insurance cover – so the mortgage companies make buildings insurance a compulsory addition to the mortgage. Really, you should thank them! Remember though – you are under no obligation to get your home buildings insurance from the bank or their affiliates. One of the key things to get right when sorting out your home buildings insurance is to set the value of the sum assured – that’s the maximum amount paid out in the event of a claim. Simply put, the sum assured is the amount you are insured for. While it is tempting to set the sum assured to the value of your house, this will often be far too high and result in you overpaying for your insurance. The actual amount should be set to that which would be needed to rebuild your house. It’s usually a smaller figure because the land your house occupied (and needs to be rebuilt on) remains the same, so there’s no need for it to affect the cost of rebuilding your home. Speaking to our advisors here at Compare UK Quotes will ensure that you set the right sum assured for your buildings insurance policy. If, for any reason, you were forced to leave your home for a while then your insurance should provide you with temporary accommodation. So, should you suffer a fire, for example, your family would be rehoused in either a local hotel for the short-term, or rental accommodation in the longer term. It’s one of the biggest concerns – am I covered for flooding? If you know you live in a flood-risk area, you are bound to be concerned about buildings insurance in the case of flooding. The good news is that even in high-risk areas, where flooding has a 1 in 75 chance, or greater, per year - you will be able to get cover. A not-for-profit scheme called Flood Re exists, backed by the government, to help provide insurance in the case of flooding. It’s important that you talk to one of our advisors about flooding when you call. They’ll be able to go through the complexities with you and make sure you get the cover you need. Subsidence is a serious issue for many homes in the UK, where the ground under the house sinks or collapses, and takes some of the building’s foundations away. It puts considerable strain on the rest of the structure of your building and manifests itself as cracks in the walls. Thankfully, subsidence can be dealt with through a procedure called ‘underpinning’ and a strengthening of the foundations. This considerable structural work on your home can be very expensive, however, so it is almost always claimed on your home buildings insurance. Discuss subsidence with one of our advisors if you have any concerns. Home buildings insurance is also there to cover the outside part of your property (your boundary walls, fencing, landscaping etc.). It can cover you for outbuildings, such as a shed or greenhouse, or for features such as a swimming pool or pond. Be aware that some policies will list the types of damage they cover – for example, not including storm damage or flood damage to fencing – ask to be sure you know exactly what is covered and what is excluded. As always, discuss these aspects of cover with our advisors before taking out a policy and make sure you get the level of cover that fits your requirements. It is easy to overlook insurance cover for the pipes and cables which supply your home with water, gas and electricity. Equally, how much thought have you given to the pipes which take the sewerage away from your property? While some basic cover is likely to be included in your buildings insurance, adding additional coverage, such as accidental damage (which may occur if you undertake a DIY project, for example) or wear and tear could save you a fortune in the future. Should your windows or doors suffer damage, you may want to claim on your home buildings insurance. Check with our advisors before finalising your policy that the cover on your home’s glass and other fittings is as you expect. Buildings insurance will often have cover to replace a broken sink or bath. It’s worth noting that cover that matches the entire suite is rare – meaning if you break the bath, that will be replaced, but if a matching item to your sink and toilet is not available, you will be left with a non-matching set. If you wish to have the guarantee that should one part of a bathroom (or kitchen) set become damaged, and that the whole suite will be replaced as one to maintain that cohesive look, then you will need to add that as an extra. Public liability insurance covers you for any legal or associated costs, should someone be injured or die because of an event that happens in your property. It is a key part of home buildings insurance and should be included as standard in all good policies. If you have a property you are letting out, then it is important to get a high level of home buildings insurance for your own protection. No matter how much you like and trust your tenants, a lot could happen, both accidentally and otherwise, and you should ensure home insurance is in place to cover any situation. Remember – your tenants can’t take out buildings insurance themselves – it is the responsibility of the landlord to do so. Ask our advisors about letting your property and let them help you find the correct cover. No matter what your need, our impartial and free advisors at Compare UK Quotes are here to help you. There’s no charge for calling, so for some free advice, call today!